At Ota Gymnasium in Tokyo, Japan held today, September 14, 2012 the 4th FIBA Asia Cup. As the campaign of Smart Gilas Pilipinas in this event begins, they have face one of the toughest team to battle with this season, team China. This is the first day of the game event where 8 Asian teams will face each other in the hard court. The first game was won by team Lebanon against Macau with a score of 120-51 (w-l), followed by Iran's winning against India with a score of 83-71 (w-l). Now, the recently finish game match between two tough countries, team Philippines and team China, made every viewers around the world stick to game till it ends. On the first quarter of the game, Smart Gilas is loss by 3 points against China. China gain 4 more edge points on the second quarter that made Smart Gilas loss by 7 points. But the game will not stop the team from winning, on the third quarter of the game, Smart Gilas Pilipinas reversed the current game standing and made a 2 points edge against their opponent. However, China begun to be aggresive in the last quarter, they took back their lead on the game and finishes the match with a score of 71-68 (w-l). Which made Smart Gilas Pilipinas lost their first battle in FIBA Asia Cup 2012 by only 3 points. 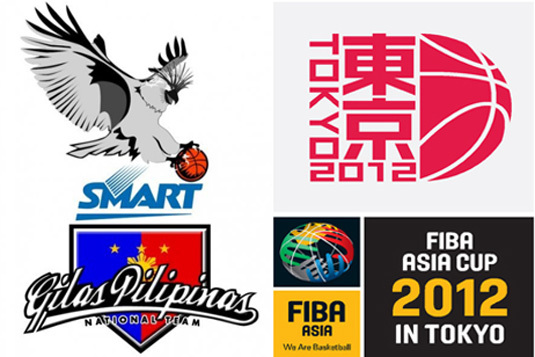 Smart Gilas Pilipinas 2.0 will have another game match tomorrow, September 15, 2012. It will be the last game match on that day against team Lebanon who currently won it's first match againts Macau. We all hope that the Philippine team will win every game match their going to face in this event though they lost today, still let's all support them by sharing this news to all of your friends on Facebook, Twitter, Google+ or even pinned to Pinterest so everyone will know whats happening on FIBA Asia Cup 2012. Comments or suggestions about "China wins against Smart Gilas Pilipinas by 3 points - September 14, 2012" is important to us, you may share it by using the comment box below.